Delhi-based Deepak Pandey always aimed to be a software developer. 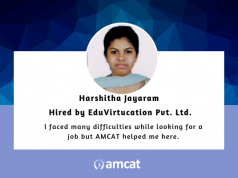 This is his story of how he went through the AMCAT test experience and achieved his goal. 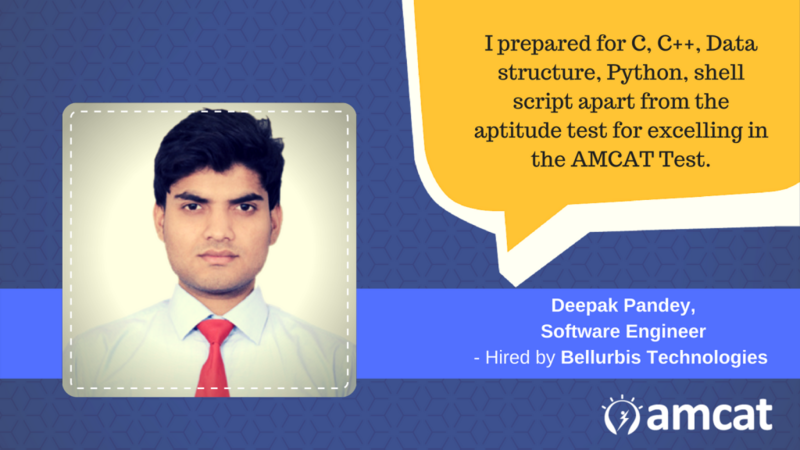 Deepak Pandey explains how AMCAT helped him bridge his aspiration to be a software developer. Delhi-based Deepak Pandey always aimed to be a software developer. A 2017 B.Tech graduate from IP University, Pandey had been clear about his intended career trajectory from the beginning. 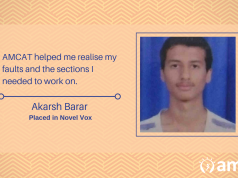 This is his story of how he went through the AMCAT test experience and achieved his goal. I took AMCAT because I want to make my career in software development. And did he get the relevant interview calls he was looking for? How was the interview process at the company? What helped you through it? A week later, he got a call from the AMCAT, that he had been shortlisted for the company. In the end, he says a planned preparation regime and continued practice on your problem areas can crack the AMCAT Test. He also provides an unequivocal recommendation to the Test. 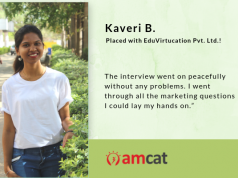 Wish to read more stories from our segment on AMCAT Testimonials? Check out our AMCAT achievers section. And if you’re contemplating on giving the test yourself, then click here to schedule an AMCAT Test. Next articleCampus Placements: The Ultimate Preparation Guide to Clear Aptitude Tests in 6 months!